What are solar panels & going solar? What are solar panels and How to Build a Solar Panel? What are solar panels? Solar panels are an alternative method of conducting electricity and when speaking of alternative energy sources, solar panels are one of the most popular choices for homeowners and businesses owners alike. However, you may not quite understand how they work. Below are some of the basics anyone considering making the move to solar needs to know. First up, you might be wondering how solar panels work, or for that matter, even how electricity works. Electricity is required to create power, and solar panels are an alternative method of conducting electricity. In order to conduct electricity, the solar panel allows particles of light to “knock” electrons free from atoms. This sounds a bit complex, but consider the process as something similar to using a magnet. A magnetic field is created by forming opposite poles, but when speaking in terms of solar energy—an electric field is created when opposite charges are separated. In other words, the panels absorb sunlight, and convert it into usable energy. And yes, even when it is cloudy out during the day, strategically placed panels will be able to access enough sunlight to continue to power your home or business. Deep-cycle batteries are required to store enough energy to power a home or business during the evening hours, and are also the perfect way to store energy for smaller mobile panels. Deep-cycle batteries look a bit like a car battery, but are significantly more powerful and complex. While you can purchase your own solar system with panels included, you can certainly learn to build your own. While the actual solar cells the panels are made from will need to be purchased elsewhere, you can build a customized solar box or frame yourself. Make sure to purchase a few extra cells, as they are quite fragile without the foundation provided by a box or frame—and it is always better to have a few extras just in case. First up, you want to map out your solar energy system. This includes how many panels you will need, the size and shape, and where they will be placed. Make sure you understand the types of tools you will need to invest in to build your system. While basic building tools are required (hammer, ruler, saw, etc.) you may need to invest in a few items you may not have on hand. This includes wires to run the electricity, solder, soldering iron, flux, and multimeter to ensure that your panel has the appropriate voltage and amps. Or, you could build the box or frame, and leave the wiring to a pro. Just make sure that you clearly understand where the wires are placed in each cell when building your panel. Solar cells are quite easy to find online, and can be ordered directly from specialty hardware stores. You can even find solar cells on eBay and Amazon, and you may even find a small selection in your local hardware stores. What is important is that you do the research required to ensure that you are investing in quality solar cells. In other words, this is not the place to scale back on your budget. Now it is time to begin building the panel itself. You want to make sure that you are using an appropriate outdoor wood, and that the box or frame you build leaves several extra inches on all four sides. Boxes are best for panels that will be fastened to the roof, home, or other stationary locations—while frames are ideal for panels that will lean against the side of the house, or that you wish to leave fairly mobile. Since solar cells are rectangular or square, rectangles and squares are the most common shapes for solar panels. To make wiring easier, invest in pre-soldered tabbing—and don’t forget to connect the positive lead to the negative lead. Aim for 12 or 24 volts. When the wiring is complete, glue the panel to your frame or box. Building your panel is likely to be the easiest part, and connecting your panel to a power source is likely to be the trickiest. Most homeowners who build a DIY solar panel do so for their outdoor power source, or to connect to a specific area of their home or small business—such as an individual office. You may require the expertise of an electrician to get your solar panel properly connected to a deep-cycle battery, and most certainly if you have built your panels with the intention to power your entire home or business. Whether you built enough solar panels to gosolar, or one small panel for a specific use—you will soon begin enjoying the cost-saving benefits of going solar. A solar frame can be used to power your kitchen, large appliances, computer and gaming devices, home office, or your outdoor entertainment center. If your solar power is stored solely in a deep-cycle battery, and not connected to your home, you will also enjoy some stored energy during unexpected power outages. However, if your solar panels are connected to the grid, you will also lose power when the power goes out—but you could invest in a solar power generator as back up. Aside from the cost-saving benefits of going solar, it utilizes a natural energy source (the sun) to generate electricity and power. This means that you can reduce your energy consumption, without taking any drastic measures. Even if building your own solar panel system is not right for you, you can invest in a solar system which includes installation—and will still save you money in the long run. 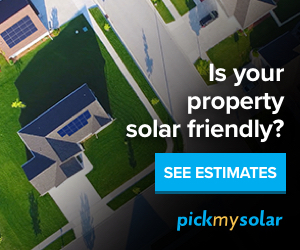 If you are looking for an online solar panels market place that provides you with all the information you need to go solar, you can start using this solar panel cost calculator to determine how much you can save with solar, including the financing options and solar energy plans available to you. The first benefit that comes to mind with solar installation is the reduction in electricity and heating costs. the sun is a giant source of energy, and tapping into that potential for energy grants a home owners the ability to reduce their dependency on the electric company to provide for their electricity needs. It is very interesting how solar energy can help homeowners and businesses to save energy and money at the same time. It is great for the country as this will help to reduce the need to develop massive power plants while reducing the effects of climate change. Also where net-metering is available, the solar user can feed excess solar electricity into the grid to get a credit while the utility company benefits because it reduces peak-demand while stabilizing the grid at the same time. I would say solar energy is a win win situation for both the solar user and the power utility company.